Osteoradionecrosis of the mandible is neither a recently described disease nor a disease limited to the maxillofacial skeleton. Phemister (1926) and Ewing (1926) reported cases of radium necrosis of bone and radiation osteitis, respectively. Furthermore, osteoradionecrosis has been reported in a variety of anatomic sites including the pelvis, femoral head, sternum, and clavicle. 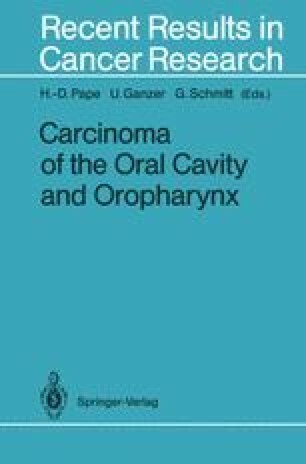 Osteoradionecrosis of the mandible, as a debilitating complication of cancericidal irradiation, was not reported with any frequency until the 1950s, when irradiation of oral malignancies became a well-established practice. Since that time, it has become evident that because of the increasing incidence of malignancies of the head and neck, the effectiveness of irradiation in these cancers, the presence of teeth in the jaws, and the functional and cosmetic importance of the mandible, osteoradionecrosis is not only most common in this area, but also tremendously impacts on the patient ’s quality of life. Numerous publications have followed related to the broad spectrum of presentations of osteoradionecrosis of the mandible, as well as speculation as to the etiology of the disease (Happonen et al. 1983; Obwegeser and Sailer 1978). Indeed, this author ’s experience includes cases of osteoradionecrosis of the mandible presenting as painless, intraoral areas of exposed mandible, all the way to painful pathologic fractures of the mandible with large orocutaneous fistulae and significant loss of surrounding soft tissue (Figs. 1, 2).